I created a projection mapped animation for the first Napa Lighted Festival this year in Napa, Ca. 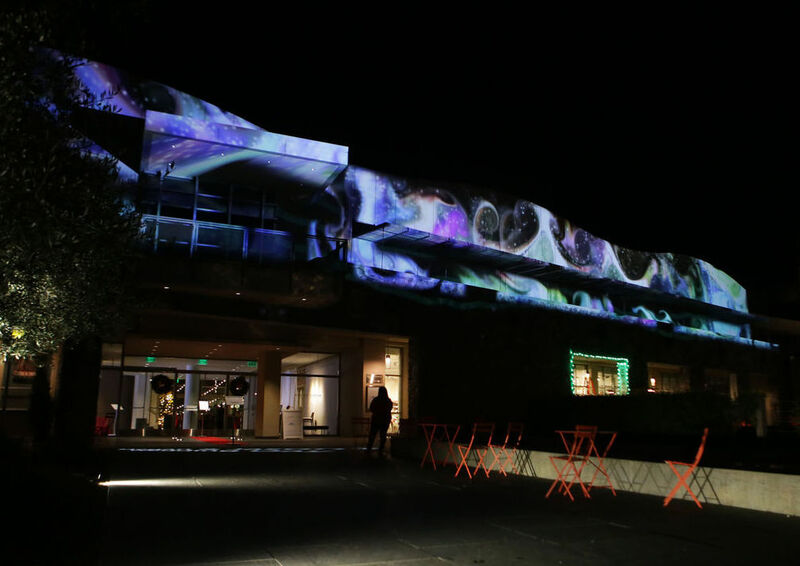 We used four projectors to light the nearly 300 foot long top floor of the Copia building. Despite the devastating wild fires that hit the area weeks before, the show went on.